For some people, dental decay is not a great cause for concern. After all, genetics is a large factor that plays in one’s risk of developing cavities. There are those with relatively poor dental hygiene that almost never get a cavity. Then there are those who brush and floss regularly who still develop cavities. Whatever the case may be, this post is going to help you understand dental decay a bit better, including what causes it, and the best ways of preventing it. The main factor in tooth decay is plaque. This is a sticky substance that builds up on your teeth between meals. Plaque is the result of the bacteria in your mouth combining with the carbohydrates in your food. This combination results in the formation of an acid, which accumulates food particles left over in your mouth. Plaque begins to eat away at your tooth enamel. That’s the protective outer layer of the tooth. This layer can naturally be replenished over time because it is created from minerals that you consume. However, with poor dental hygiene, it can eat through and begin wearing down the next layer of the tooth. The dentin is the next layer. It is the hard, dense, bony layer of the tooth. 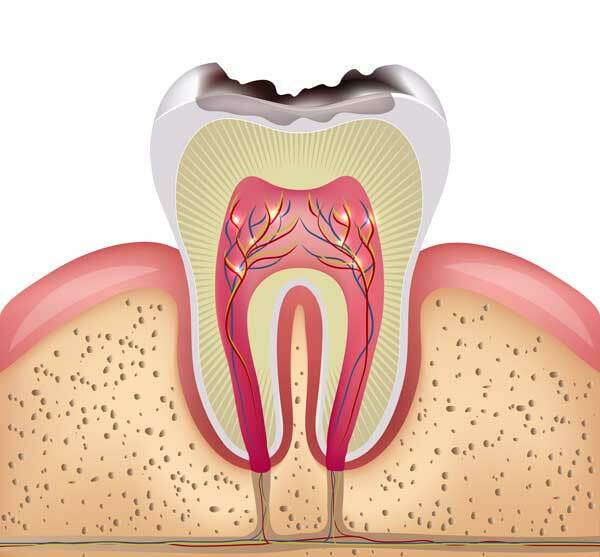 The dentin makes up the majority of the tooth, and when a hole is worn down in this part, you officially have a cavity. This cannot be replenished through natural means and requires a dental filling. 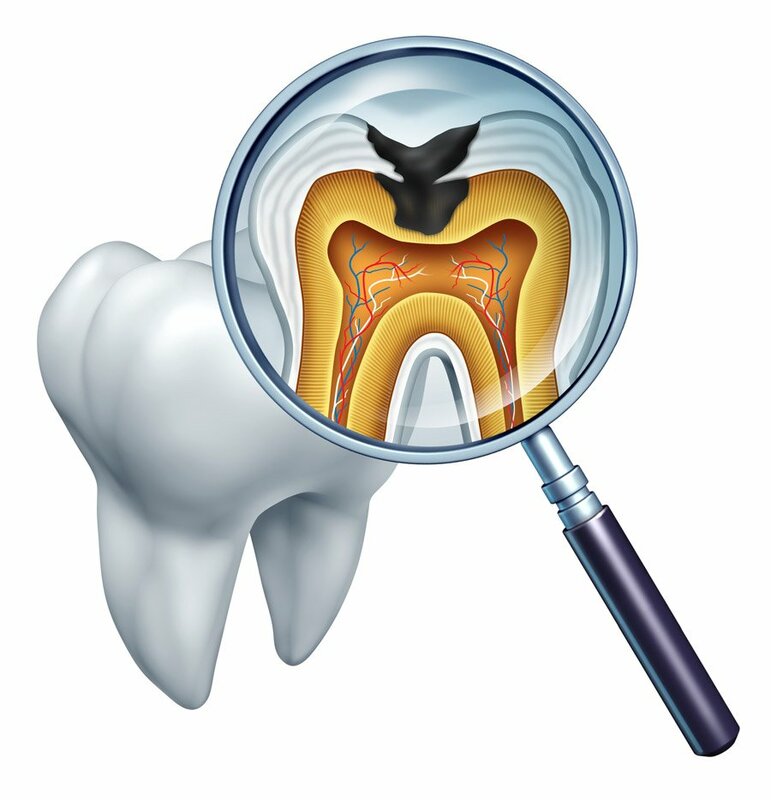 Eventually, the bacteria and acid that makes up plaque will begin to infect the “tooth pulp”. As the name implies, this is a fleshy tissue that lies in the center of the tooth and contains the tooth nerve. When this tissue becomes infected, the pain can be incredibly intense. Finally, an abscess will form near the tooth nerve. An abscess is a pocket of pus that usually appears at the gumline. It tends to look like a pimple. Simply put: proper dental hygiene is the best way of preventing dental decay. That means brushing and flossing properly twice a day and making regular appointments with your dentist. Proper brushing means brushing softly along all areas of the teeth in a circular motion. 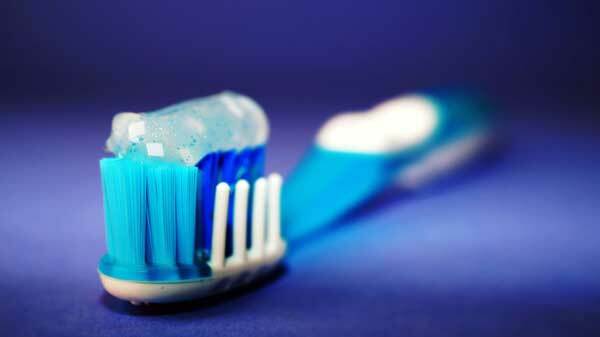 Don’t brush too hard, or in a “zig-zag” pattern as many people are in the habit of doing. It’s also important to “massage the gumline” as you brush in order to prevent periodontal disease, which results from plaque making its way into the gumline. It’s also important to schedule regular appointments with your dentist. What exactly constitutes “regular appointments”? The answer is generally at least twice per year. Your dentist can perform diagnostics. This often involves a simple exam, but can also be done through a digital X-ray. Your dentist can also perform professional dental cleaning. Having this done twice per year is a great way of preventing dental decay.